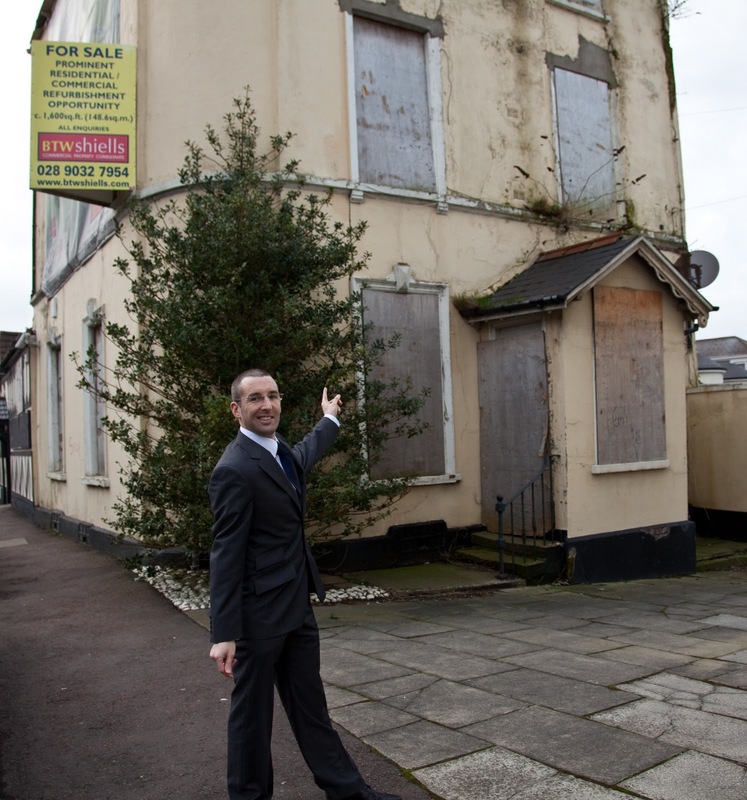 I can report significant progress to secure the future of key Historic Buildings in Holywood which are at risk due to their current state of disrepair. After being contacted by members of Holywood Conservation Group I have been working hard to save Stewarts Place near the Priory, Holywood and have now gained agreement from government to take action if the building isn’t repaired in the near future. I can also report progress in relation to Cultra Railway Station House with both North Down Borough Council and NI Environment Agency taking action to ensure this historic building is secured and restored rather than being allowed to rot. With the help of local Alliance representative and Conservation Architect Larry Thompson we have been Leading Change by helping to secure significant progress to Save Holywood’s Built Heritage. After being contacted by representatives from Holywood Conservation Group I contacted the NI Environment Agency (NIEA) and it now seems that NIEA are now pursuing the owner of Stewart’s Place with vigour. A programme of works to repair the building was agreed at a site meeting a few weeks ago and, if not implemented, formal action will be considered. After recently exposing the fact that only two Urgent Works notices have been issued across the province in the last ten years I am pleasantly surprised to learn that NIEA are considering serving a Urgent Repairs Notice if the site owner doesn’t comply with the agreement reached concerning repairs. We are very fortunate to have Holywood Conservation Group (HCG) within the Town. HCG are an extremely active and effective group who have been campaigning alongside Ulster Architectural Heritage Society to save Stewarts Place for many years. Without them the matter wouldn’t have been put on the agenda nor the progress achieved to date. More areas across Northern Ireland need such groups which shine a light on real issues of concern and undertake effective lobbying to save buildings before it’s too late. Members of Holywood Conservation Group also recently contacted me concerned about the state of Cultra Railway Station with the building insecure and fast falling into disrepair. I quickly responded to these concerns with prompt action taken by both North Down Borough Council and the NI Environment Agency. Council officers liaised with the site owner and the building has now been secured. As a result of lobbying by groups such as Holywood Conservation Group NIEA now also advise that a grant from the Historic Buildings Unit for re-development of Cultra Railway Station is active and the tender process will soon be complete. I welcome this news and look forward to seeing work commence soon to save Cultra Station House. Speaking earlier last week, Alliance Holywood representative Larry Thompson stated “Protection of our Built Heritage not only makes areas more attractive but also helps create jobs and build strong communities with many listed buildings now providing Social Housing.